Villa del Golfo Lifestyle Resort is a stylish and prestigious hotel, in a very convenient location. Villa del Golfo Lifestyle Resort enjoys an attractive position on the heights of Cannigione, with sensational views across the Gulf of Arzachena, the island of Caprera and beyond to the Costa Smeralda. The hotel is stylishly presented blending sheer elegance, luxurious accommodation and a delightful Mediterranean touch. Amongst this enchanting setting, there are numerous terraces along with a swimming pool, and a new wooden decking area complete with sunloungers next to the sea. The restaurant “MiraLuna”, with its large panoramic veranda overlooking the sea, is available for lunch and dinner, ready to delight guests with a culinary experience inspired by the Mediterranean, its aromas and its flavours. 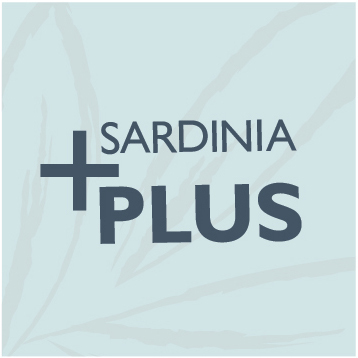 Meanwhile, wonderful Sardinian cuisine can also be enjoyed in the shape of the La Colti restaurant, which is located a short drive away from the hotel grounds, accessible by the hotel's complimentary shuttle bus. For delicious cuisine beside the sea, Acqua di Mare, set on a private sea deck, becomes the perfect setting for a romantic dinner for two. The rooms are spread over a variety of levels and all have been designed with the same prestigious flair as the rest of the hotel; they are also extremely well equipped and all have a terrace or balcony making the most of the panorama. There are a couple of sandy beaches within walking distance, which can be reached via a complimentary shuttle, as well as a myriad of bars, restaurants and markets stalls. Try a day trip on the hotel’s own sailing yacht – it is a wonderful way to explore the magnificent coastline of the north east and its exquisite bays leaving you with a truly memorable experience. 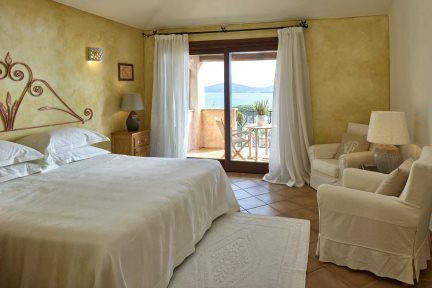 Villa del Golfo Lifestyle Resort is the perfect choice for a romantic holiday in Sardinia. Swimming pool, Cocktail bar, MiraLuna’ restaurant on-site and ‘La Colti’ restaurant a short drive away, reading room, Wi-Fi, gym. spa with indoor swimming pool (10m x 5m), complimentary shuttle service to local beaches (Barca Bruciata e Tanca Manna). Payable locally: Dinners and excursions available on board the hotel’s private yacht BonAria (with “Chiaro di Luna” Restaurant), cooking courses, wine tasting, bespoke romantic dinner for two by the sea, massage room, 100% electric car are available at the Hotel to rent, and wooden deck with sunloungers. En-suite bathroom with bathtub and shower, satellite television, telephone, minibar, hairdryer, safe, air-conditioning, tea and coffee making facilities, terrace or balcony and Wi-Fi. 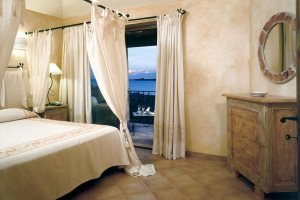 Classic Deluxe Sea View with Terrace are beautifully presented rooms in a typical Mediterranean style, with elegant furnishing and ceramic floors. The bathrooms are fitted with bathtub and shower. They all boast a terrace furnished with table and chairs. All rooms have a safe, minibar, telephone, satellite television, hairdryer, bathrobes and slippers. Superior Deluxe Sea View with Balcony are beautifully presented rooms in a typical Mediterranean style, with elegant furnishing and ceramic floors. The bathrooms are fitted with bathtub and shower. They all boast a balcony furnished with table and chairs. All rooms have a safe, tea and coffee making facilities, minibar, telephone, satellite television, hairdryer, bathrobes and slippers. Comfortable and spacious rooms with, each providing luxurious living space and a veranda. The suites are arranged in the same style as all other rooms but as they have more privacy they are much more comfortable. The bathrooms are equipped with whirlpool showers. The large outdoor areas are elegantly furnished so you can enjoy the stunning sea views. Individually styled, the Senior Suites invite indulgence: 65 square metres of accommodation with living room, bedroom, bathroom with whirlpool massage shower and separate toilet. They are completely independent from the main building of the hotel and are provided with a large outdoor area and elegant wicker furniture. 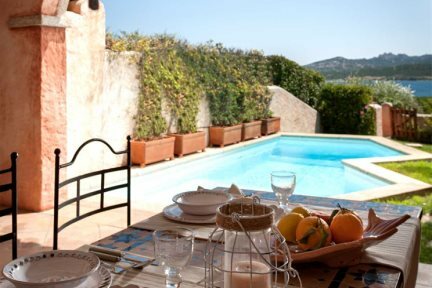 These suites have the added benefit of a private garden with swimming pool of 25 square metres. Two chaises longues with mattress are also at your disposal - bliss! The Luxury Suite sea view and private pool are furnished with prestigious pieces of Sardinian furniture. 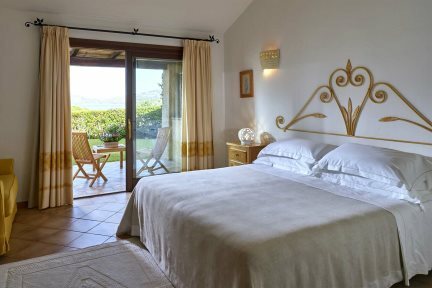 The accommodation offers a wide range of services including a housekeeper, fantastic gardens, a lovely pergola, a private pool and fabulous sea views. It's a great compromise between the privacy of your own villa and the superior facilities of the hotel. Located on the western shore of the Golfo di Arzachena, Cannigione is a small fishing port with a handful of supermarkets and restaurants. The atmosphere is normally serene however you can get the hustle and bustle of tourists in August. There are also a number of beautiful beaches to the north of the village. North of Cannigione beyond Laconia, this beautiful bay shelters an exquisite beach of golden sand.